At the Marine Corps base in Quantico, Virginia there sits an exact replica of the original Tun Tavern, the birthplace of the United States Marine Corps. 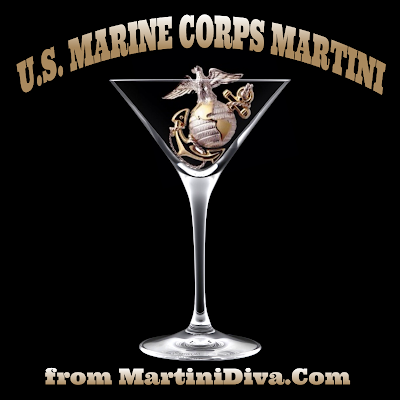 In this present day Tun Tavern they have served the U.S. Marine Corps Martini for over 50 years. This cocktail is sometimes also referred to as a 5:4:3:2:1 Martini because of the ingredient ratios. 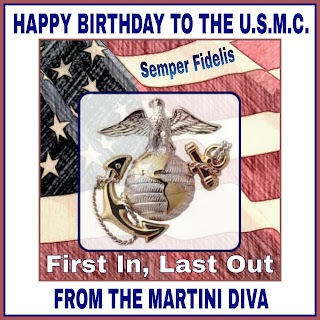 On this day, the birthday of the United States Marine Corps, it seems appropriate to serve this cocktail honor of those who served and those who continue to serve our country as proud Marines. DIRECTIONS Place all the ingredients in a mixing glass and freeze several hours. The water and ice cubes allow for some dilution and should create a slight freezing of the ingredients. Do not shake or stir. Strain into chilled martini glass and serve. No garnish is served with this cocktail.